Bio: In 15 years at Redline, I have been responsible for Sales, Business Development, and now Marketing. Prior to Redline, I held various Sales and Business Development positions in the telecommunications industry at OEM companies that included Alcatel, Lucent, Coppercom, Xylan, and Paradyne. In my career, I built the oil & gas practice for Redline communications. This role required me to travel globally visiting oil & gas companies and prominent ecosystem players, which I continue to do today. I also led Redline’s entry and established our position as a strategic partner to some of the biggest oil & gas companies. 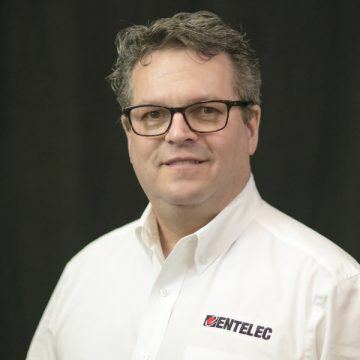 I am an energetic, charismatic leader who is passionate about the opportunity for ENTELEC to become the leading global user association focusing on ICT, IoT, and control technologies used by petroleum, natural gas, pipeline, and electric utility companies. In other service positions, I was a member of the Canadian Information Processing Society (CIPS), where I was president of the Toronto Chapter. My experience with CIPS is an added value to the ENTELEC Board.